Our brown imitation kraft paper rolls offer an economical solution to a number of general purpose applications, particularly as a low cost strong brown paper wrapping material. Imitation kraft paper is an excellent alternative to pure kraft brown paper and being lightweight will also keep your mailing costs down. If your requirements are low this low cost brown paper can also double up as void fill, for larger demands we suggest you look at other alternatives we offer. It is supplied in paper rolls, which can be used with our paper dispenser. The rolls are an economical 200m long and come in 3 widths – 600mm, 750mm and 900mm. 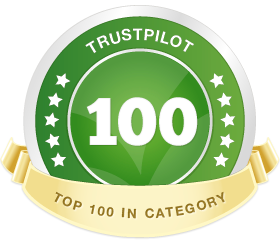 It is environmentally friendly too, being biodegradable and made from recycled fibres. Versatile and durable, our brown packing paper is ideal for your light to medium duty packaging needs. The imitation kraft paper makes a great wrapping paper for items like books and boxes because it protects them from getting scratched during transit or shipping. 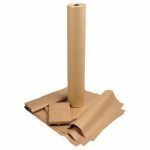 Not only is our kraft brown paper a must-have for mailrooms and packing stations, it is also a low cost stationery item for schools and nurseries where it can be used for covering books and boxes or as an art material for projects such as making posters or large drawings. You can cut off as much as you need from the brown paper rolls. Children will have fun drawing with felt tip pens or finger painting on the top, smooth side of the kraft wrapping paper while paint and chalks are great on the back. Made from recycled fibres, our imitation kraft paper can be reused and recycled as well. A good way to reuse brown paper wrapping is as an economical void fill for your parcels and packages.